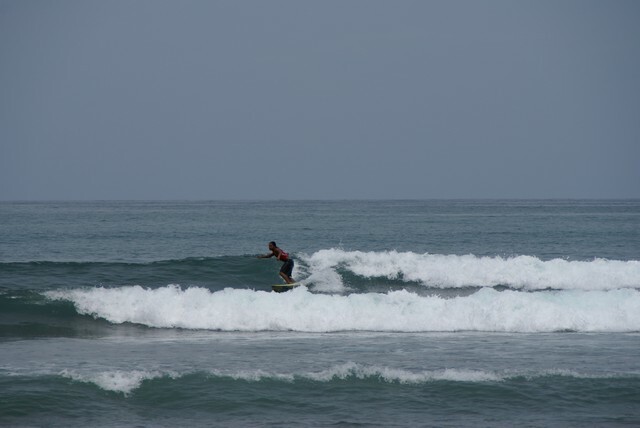 Well, yes there is some surfing in Phuket. The waves in the low season can be big enough, though you can't guarantee it. Plenty of calm days even at this time of year. 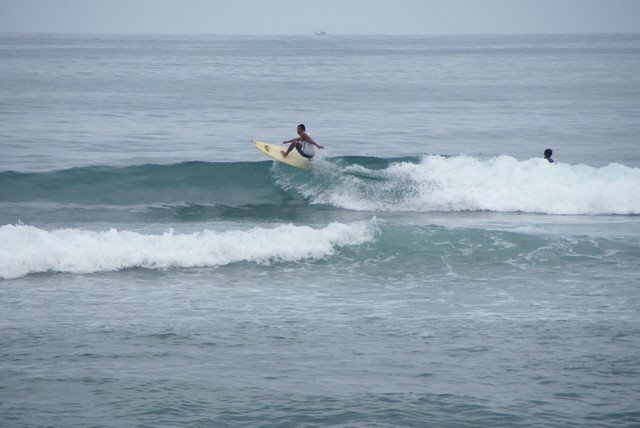 Let's just say it's nothing like Bali, but if you're a surfer and passing through and have your board with you, why not give it a try? From 8 - 10 September 2006 there was the Phuket Surfing Contest at Kata Beach. I might just go along for a little look next year if the weather allows. Dates are August 31st - September 2nd 2007.